It can sometimes be hard to adequately describe the great city of Santa Fe to those that have never experienced it. There is so much to see and do in The City Different, that it will surely require more than one or two trips. Unlike many other cities throughout the country, a visit to Santa Fe is sure to be magical and full of excitement at any time of the year. Santa Fe is overflowing with history and culture, which is ultimately what led this fascinating city to be declared the top cultural getaway in the country by Travel and Leisure Magazine. 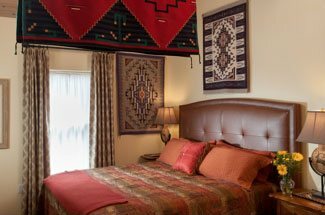 If you’re looking for a one of a kind getaway, then there is no better time to book your room at our destination bed and breakfast in Santa Fe. The rich, smoky scent of Pinón trees is a constant presence in this ever-changing city, where you’ll find centuries old adobe buildings still standing, juxtaposed with modern, and often avant-garde art galleries and lively new restaurants. 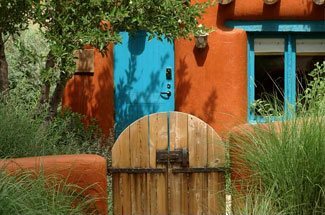 The strong connection to the Native American and Spanish roots of this city, despite the fast-paced and ever changing nature of a modern city, are what make Santa Fe so special, and are what earn Santa Fe travel accolades year after year. Not only has Santa Fe been ranked as a top cultural getaway, but it’s also been voted the The Best Food Town in 2012, and has been listed as a top city for independent boutiques and shopping, historic destinations, and art. Like any great city, Santa Fe has an extensive list of “must do” activities and sites to see. When you stay at our luxury destination bed and breakfast, you’ll be conveniently situated near the thriving cultural heart of downtown Santa Fe. If you’re new to Santa Fe, get some quick and enriching lessons or the regional history at one or more of the fascinating Santa Fe museums. Our favorites include El Rancho De Las Golondrinas, the Museum of International Folk Art, and the New Mexico History Museum. 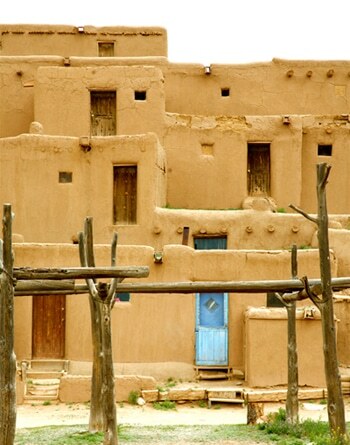 Santa Fe’s rich past is preserved in historic sites located throughout and near the city. 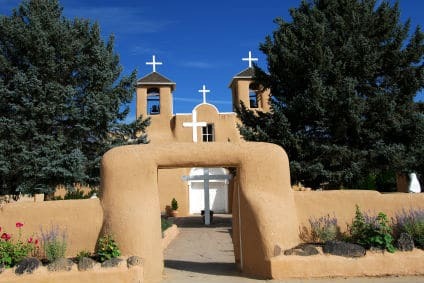 Some of the most popular historic sites in the Santa Fe area are the Loretto Chapel, with its miraculous spiral staircase, and the Chapel of San Miguel, which is the oldest church in Santa Fe. If you want an up close and personal glimpse into historical life in Santa Fe, then we recommend visiting one of the Indian Pueblos in the area, where their timeless cultures, traditions, arts and beliefs continue to thrive. After a day spent immersed in the fascinating history of Santa Fe, your appetite is bound to be ready for some of Santa Fe’s world-renowned cuisine. With so many wonderful restaurants to choose from, you’ll never go hungry. At the end of your long day, come back to our luxury bed and breakfast, relax in front of our Kiva fireplaces, and unwind at our destination Inn, where modern luxury meets southwestern charm. Make your reservations today, and get ready for an unforgettable Santa Fe adventure.